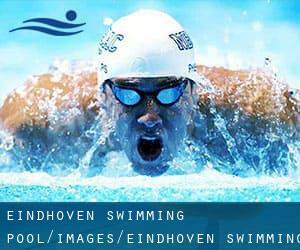 Please get in touch with the sports center in Eindhoven to check which activities are being offered and their timetables, since varieties of Eindhoven Swimming Pool could have different rules and fares than other places. Going to a Eindhoven Pool is increasing especially within the elderly population sectors of Eindhoven, who have suffered some sort of muscle or bone damage. Do you know of any Pools in Spain that needs to be listed here? Contact us!. For Eindhoven and its vicinity, we're showing you all the registered pools, some of them have no GPS coordinates and can't be discovered on the map at the map. If you will be seeking for varieties of Eindhoven Swimming Pool, it's good to know many of them belong to gyms or sports centers which also offer you lessons. Get informed by calling the premises. Swimia.com wants your feedback on Aquagym in Eindhoven to ensure all the information about swimming in Eindhoven is valid. There are many causes why you ought to choose a heated swimming pool in Eindhoven. One of the most crucial one relies on the significance of keeping the body temperature stable. If the water is too cold, your body will try to warm it up and you will lose strength to swim appropriately. One of the advantages of outdoor swimming in Eindhoven may be the possibility to sunbathe in the course of the summer season. Taking it with extra care, sunbathing is healthy given that introduces Vitamin D into the body, so the perfect selection seems to be switching between indoor and outdoor pools depending on the season. Enjoy the best indoor pools in Eindhoven and don't worry about the weather. These facilities are open all seasons and you can enjoy a swim at the same temperature every day of the year. Updated on 2019 Vijfkamplaan 12 , Eindhoven , NETHERLANDS (Postal Code: 5624 EB). This sports center offers 25 meters, Indoors. For this Swimming Pool, only phone number is number here. Updated on 2019 Antoon Coolenlaan 1 , Eindhoven , NETHERLANDS (Postal Code: 5644 RX). Few days ago a typical user of this center told us they offer Olympic size x 21 meters, 8 lanes, 1.4 meters - 3.5 meters depth, 1.4 meters - 3.5 meters depth, Indoors. Furthermore, they keep in good conditions 25 meters x 14 meters, 5 lanes, 1 meters - 2 meters depth, 1 meters - 2 meters depth, Indoors. Contact knowledge for this Swimming Pool for example phone number and email address are number. Antoon Coolenlaan 1 , Eindhoven , NETHERLANDS (Postal Code: 5644 RX). Swimmers like you have reported Olympic size, 10 lanes, Indoors. Also, you will find 25 meters, 8 lanes, Indoors. Just in case you need to contact this Swimming Pool before dropping by, we only know the phone number.